A final update on the intrigue surrounding “Joyce,” the subject of and artiste behind what is widely regarded as the world’s worst album cover. 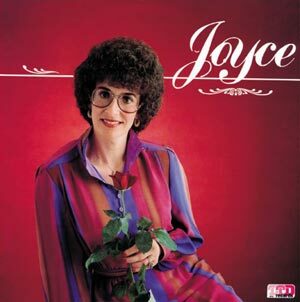 Nick DiFonzo, whose excellent Bizarre Records site is the original disseminator of the Joyce cover, confirms that the lady pictured (circa 1983) is indeed Joyce Drake, a pastor’s wife from Sealy, Texas. 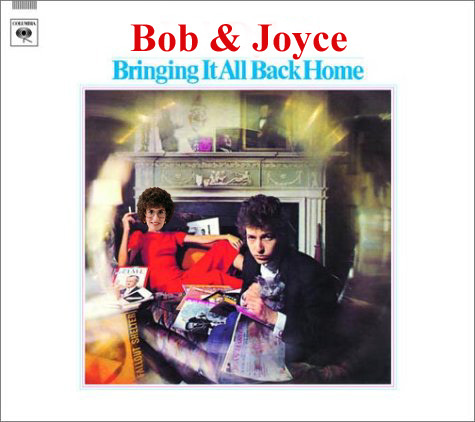 He even includes this sound clip from Joyce’s hot C&W-style track “I Get All Excited.” Reader Ed Davis of Flint, Michigan, had wondered in a previous post precisely “what it would be that would get Joyce ‘all excited.’” Ed, now we know that what gets Joyce excited is “when you talk about the love of Jesus”! We now conclude our diversion into obscure Christian records and the history of British Jewish musical theater and return to our regular Rock Snob programming. Our offices piled high with CDs, our iPods loaded to 40 GB capacity, we are truly blessed to experience “Freedom From Want” (the name of the Norman Rockwell painting above–and yo, he did rock well!). Herewith, the Snob brain trust offers its givings of thanks. I’m thankful that Don Covay’s overlooked soul masterpiece Hot Blood is finally out on CD–even if it didn't get the ludicrously lavish Rhino Handmade treatment it so clearly deserved. I’m thankful that the BBC inexplicably hired curmudgeonly speed freak Mark E. Smith to read out the football (yes, football!) results on Saturday. I’m thankful that Simon Reynolds’s magisterial post-punk history Rip It Up and Start Again is about to be published in the U.S. (complete with dazzlingly insightful quotage from yours truly!). I’m thankful that the deluxe version of Bruce Springsteen’s reissued Born to Run comes with a concert video from the days when The Boss was an adorably skinny Serpico lookalike. And finally, I am thankful that my old chum Edwyn Collins is back in the studio. I’m thankful that Duff McKagan has put Scott Weiland back on the straight and narrow. I’m thankful that Gang of Four’s re-recording of their best old songs, Return the Gift, didn’t turn out to be the bad idea it sounded like, and that Hugo Burnham’s drumming is still tautly thwacky. I’m thankful that Barney Hoskyns’ ace Laurel Canyon book Hotel California was published to good reviews in the U.K. and will soon be out in the U.S.
I’m thankful that Vanity Fair at last published my colleague Steven Daly’s long-aborning article about the Sugar Hill label. Our humble little compendium of useless information is now in its fifth printing! And it’s not even Christmas! Thanks to all of you who have made 2005 an annus mirabilus for Rock Snobbery. And remember, the book makes an ideal stocking stuffer or bulk corporate purchase for your jaded friends in the industry who like Waddy Wachtel jokes. This Christmas-Chanukah-Kwanzaa-Festivus, say it with Snobbery. Daniel Radcliffe, the sixteen-year-old actor who plays Harry Potter in the movies, is already establishing himself as a Rock Snob to watch–in a few years’ time, he could be up there with Wes Anderson and Sofia Coppola. On his iTunes celebrity playlist, he includes selections by Pixies, Antony & the Johnsons, the Arcade Fire, and the Buzzcocks. The Buzzcocks! Nicely done, young wizard! And yet the delightful Rupert Grint, who plays Ron Weasley and looks like he should be a clued-up indie kid, chooses Usher, Green Day, and Velvet Revolver. Wouldn’t it be great if the next Harry Potter movie had a scene in which Hagrid (Robbie Coltrane) holds forth to Ron on the virtues of Rock Snobbery? You just know Hagrid’s a fan of Captain Beefheart and His Magic(k) Band. Nice one, David! Though if it’s “hot candy,” why are the Kraftwerk peppermints so icy? And crikey, what on earth is in the tea at Uncut? 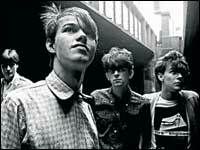 Their “reissue of the year”–ranked ahead of the Band’s six-disc box set and the deluxe edition of the Stooges’ Fun House–is The Glasgow School by Orange Juice (pictured above), the SEMINAL indie band whose drummer was none other than our own Steven Daly! 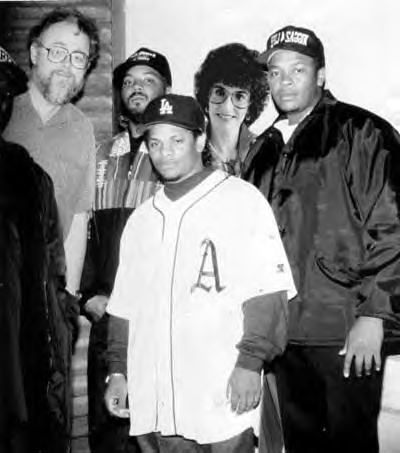 As usual, there is mention of OJ’s unique “Velvets-meets-Chic” sound–which is appropriate, because drummer Steve looks like the love child of Mo Tucker and Tony Thompson! Fully seven months after its publication, The Rock Snob*s Dictionary is still getting the love. Stephen Metcalf of Slate calls us “delightful” and uses the book as a pretext for a very entertaining little essay. 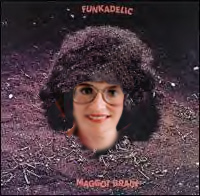 In a previous post, we explained that we’d found this curio on a site dedicated to the Worst Album Covers Ever, and speculated that it was “a self-financed vanity record, circa 1982, by someone named Joyce who looks remarkably like Dustin Hoffman circa Tootsie.” We were eager for explanation, clarification, and validation. Boy, did we get some. The most salient thing about Joyce’s being a cult figure is that she’s been repeatedly identified as “Joyce Drake.” Which leads to the most likely explanation of who this lady is. One of the many blogs and sites to examine the Joyce phenomenon is devoted to a polka band called the Polkaholics. On their site, one reader wrote in to comment, “Joyce Drake was the pastor’s wife at First Assembly of God in Sealy, Texas, when I was a little girl in the 1970s. She was really very nice. I don’t know of any other albums that she ever made.” A cursory Google search reveals that a Joyce Drake and her husband, Clyde, indeed did lead such a church in Sealy. Alas, the trail grows cold there, and we don’t know what’s since become of Mrs. Drake, nor do we have photographic proof that this Joyce and our Joyce are one and the same. 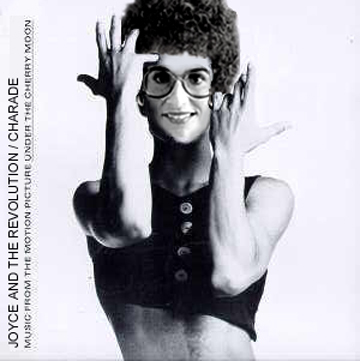 Joyce, if you’re reading this, give us a jingle. 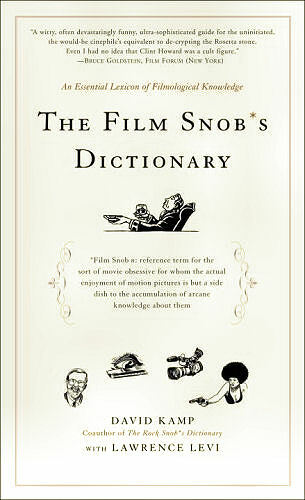 We don’t know whether to club journalist Jeffrey Wells to death for reviewing the next Snob book, The Film Snob*s Dictionary, a full three months before it comes out–Jeff, no one can find it in the shops yet!–or if we should be flattered that he cares enough to do so. But since Wells has gone ahead and written at length about his advance copy of the book on his Web site, Hollywood Elsewhere, we’ll go ahead and link to his writeup, which is, we must say, very generous. Dry-farmed. Adjective applied to fruit crops planted in spring, while the ground is still damp, and seldom, if ever, watered until maturation—forcing the plants’ tap roots to seek out water from the earth rather than the sky, and resulting in fruits of vividly concentrated, rather than waterlogged, flavor. You can keep your fancy heirloom tomatoes; me, I’m a dry-farmed Early Girl person.